B. 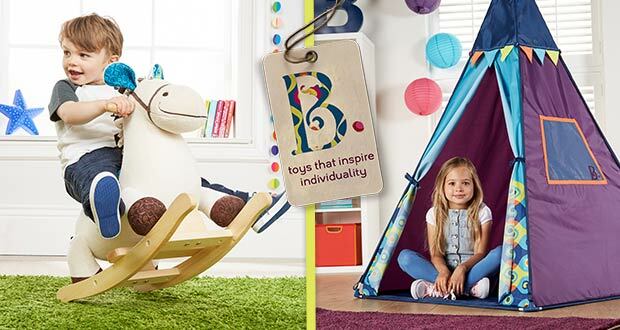 Toys offers kids new and creative ways to be curious, be musical and be inspired. Choose B. Toys for unique designs and hours of fun. Offer applies to standard shipping on online orders. Excludes large bulky goods. Subject to fair usage*. Shipping in 1-2 working days.